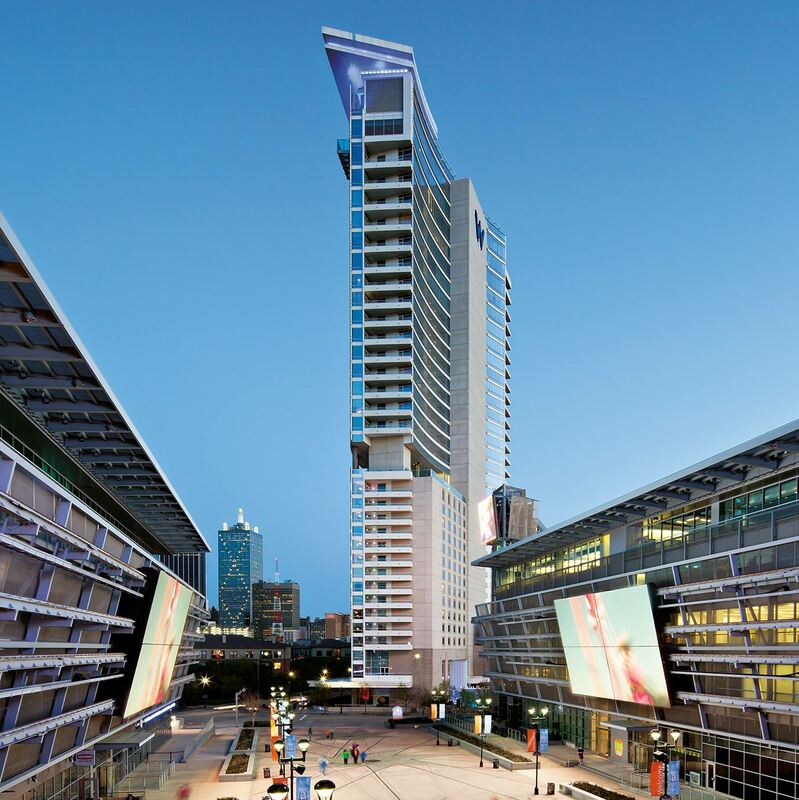 810,000 sf, 31-story, 252-room hotel, 94 condominiums will be built adjacent to the American Airlines Center – home of the NBA’s Dallas Mavericks and NHL’s Dallas Stars. The hotel is distinct and separate from the traditional style of the American Airlines Center. It evokes a modern, progressive expression that creates a strong and distinct presence.